Dr. Thomas Gowan has served as the medical director of the pediatric emergency department at North Central Baptist Hospital in San Antonio, TX, since 2010. Board certified in both general pediatrics as well as pediatric emergency medicine, Dr. Gowan is a Fellow of the American College of Emergency Physicians. After completing his undergraduate education at Texas A&M University, he earned his medical degree and completed his pediatric internship and residency at the University of Texas Health Science Center at San Antonio. This was followed by a pediatric emergency medicine fellowship at Children’s Hospital Los Angeles. Dr. Gowan later earned his master’s degree in business administration from the University of Texas at San Antonio and a master’s of science in health care management from the Harvard School of Public Health. 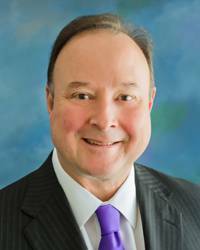 His clinical experience includes positions at various locations in Texas and Nevada, as well as serving as an attending physician for Texas Inpatient Pediatric Service in San Antonio. Dr. Gowan is presently chair of the Department of Pediatrics for San Antonio’s Baptist Health System. At North Central Baptist Hosptial, he serves as co-chair of the Physician’s Leadership Council, chair of the Pediatric Physician’s Leadership Council, and as a member of the Peer Review Committee. In addition, Dr. Gowan serves on the board of Texas Doctors for Social Responsibility.